Only 9 In Stock - ORDER NOW. This product really seems to act fast to ward off Allergens. I ran out of the capsules and could immediately tell a difference. The capsules arrived today and within about an hour I was feeling much much better. Love this product! Common allergies - like mold‚ flowers‚ dust‚ and more - can often be debilitating‚ especially when they begin to interfere with your day-to-day life. 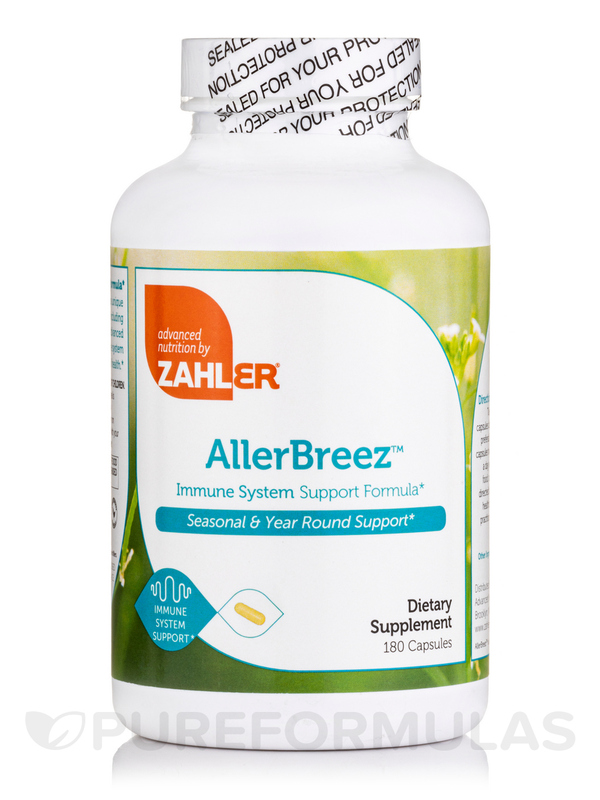 For those looking for some possible relief from allergy symptoms there's AllergEase Capsules from Zahler. 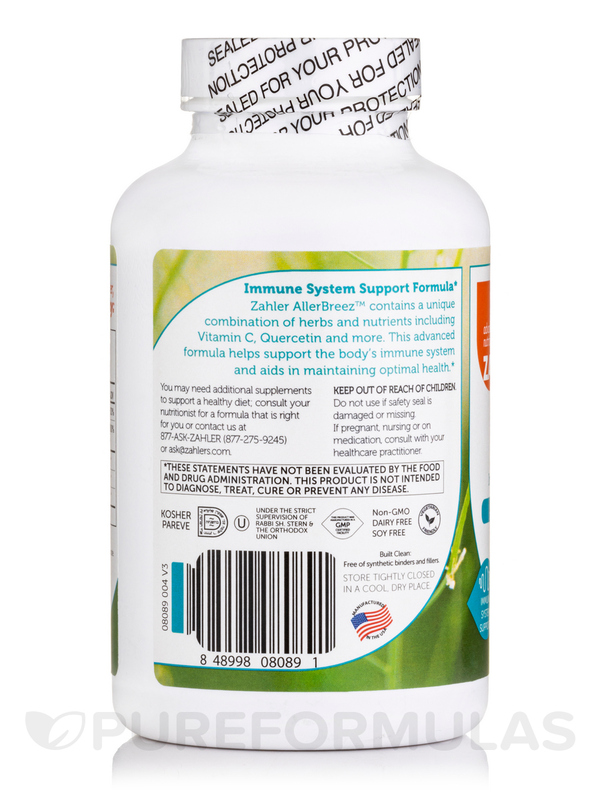 One of the featured ingredients in AllergEase is Quercetin‚ a bioflavonoid (plant pigment). Bioflavonoids often feature anti-inflammatory effects‚ which may be able to help lessen the severity of some allergy symptoms. 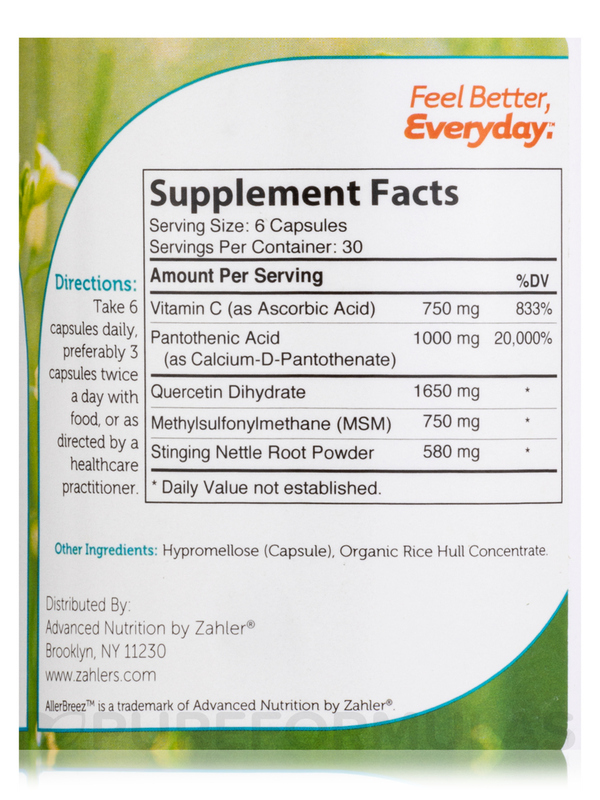 Zahler's AllergEase also features another anti-inflammatory ingredient: the botanical Stinging Nettle. Zahler's AllergEase also features MSM (Methylsulfonylmethane)‚ which may contribute sulfur to our body in an effort to make other necessary chemicals. Some studies suggest that MSM may help alleviate some allergy symptoms. AllergEase is also formulated with vitamin C‚ an essential vitamin well-known and often used for boosting the immune system‚ which may be able to help with some allergy symptoms. 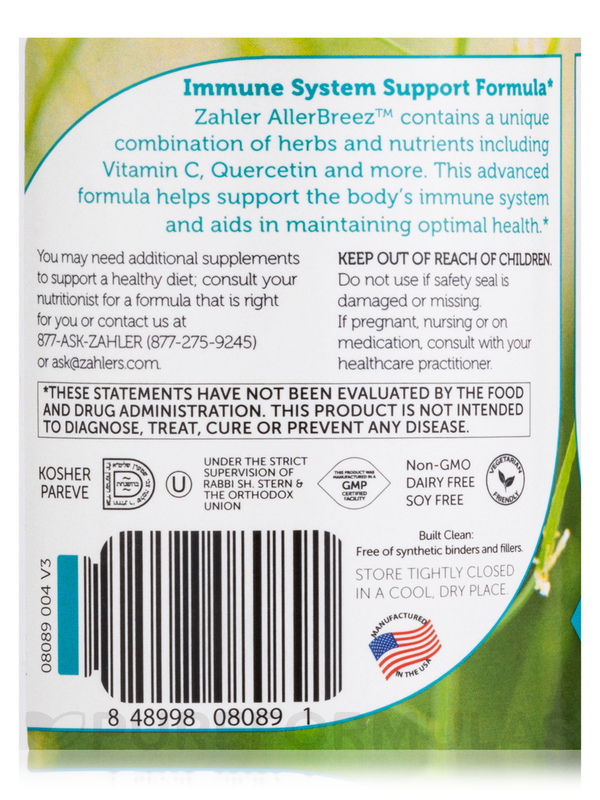 All of Zahler's products - including AllergEase Capsules - have been certified as kosher under proper Rabbinic supervision. *% Daily value is based on a 2‚000 calorie diet. 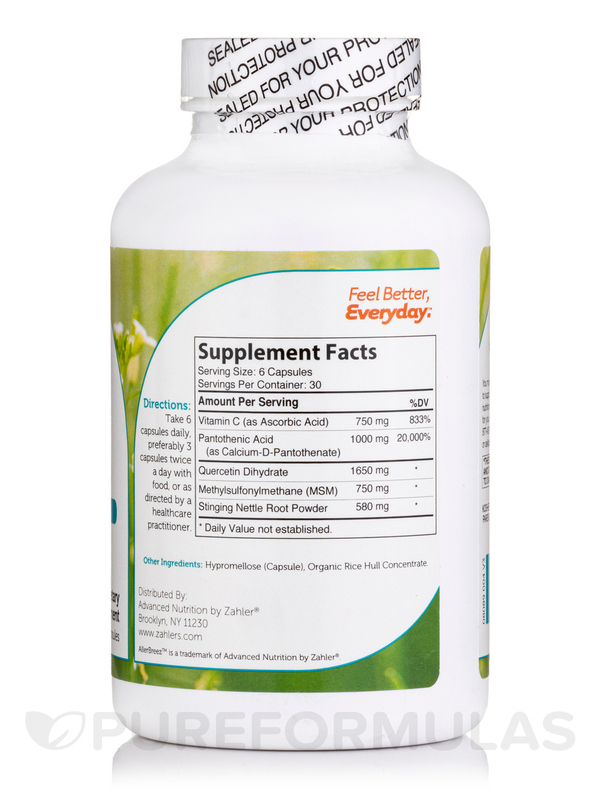 3 Capsules 2 times daily with meals.